If you've ever had big, messy feelings about an ex, you'll want to learn more about this new book. If you've ever felt like you have unfinished business with an ex, you've got an instant community between the covers of Portraits. 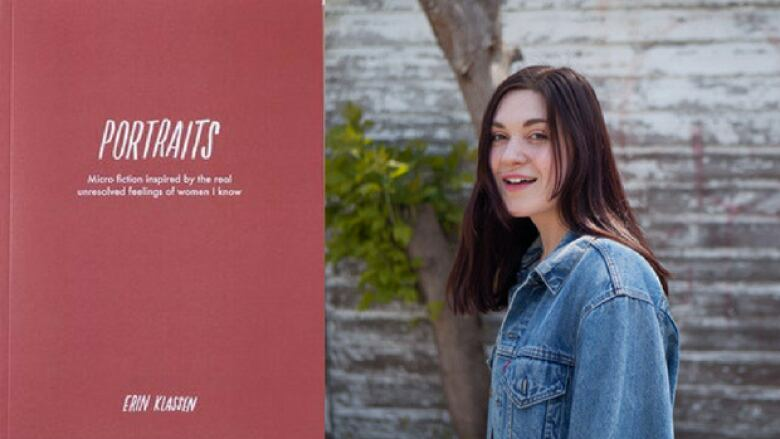 The work of Toronto-based writer Erin Klassen, the book is a series of microfictions based on real conversations Klassen had with a diverse group of women, paired with original illustrations based on the emotional essence of their stories. "Portraits stems from two personal experiences, both of which made their way into the book. I've been working on this book, in a way, since I was nine years old, when the first thing happened. There was this boy I really liked in the third grade — his real name is hidden in one of the stories — and I actually memorized the lyrics to Guns N' Roses' 'November Rain' for him. Since then, I've been really preoccupied by romantic relationships and their complexities. "Then, last summer, a seemingly unrelated thing happened: I found out that I man I had been with many years ago was getting married. It had been years since we had talked, it wasn't even a serious relationship, but still it annoyed me. And it annoyed me that I had an energy left to react to this fact, this development. The book started with me just really wanting to find a community of people who felt the same — who felt unresolved, complicated feelings about people they were romantically involved with — and be able to access different experiences at the same time." "I've always been a writer and I express myself through words, so for me it's a way of coming to terms with things that are happening internally. In the case of the guy who I learned was getting married, I wrote three draft emails. The first was very polite — I wanted to let him know that I was great, and congratulations, etc. It's probably the closest to the one you should actually send in this instance. The next one was: imagine everything you've ever really wanted to say to someone — your honest gut feelings of how they did you wrong. The third email draft was that moment you're just so exhausted by your internal dialogue that you just want to make it short and sweet. It was one paragraph, just distilled down to the one thing I really wanted to say. I went for that punch to the gut, some kind of payback or something, which is something you don't really want to send to a human being. "I was writing these drafts for fun, really. And I thought, this is kind of interesting that I do this. I do this a lot. And what if other women felt this way?" "I talked to 34 women, and I got 40 stories out of that. The youngest was 23 and the oldest was 41. I'm 32, so I'm right in the middle, age-wise. I talked to almost all of the women in person, over coffee or wine, and they knew that I would be fictionalizing their stories while holding on to the emotional core of what they had to say. Some of them are pretty tough — physical abuse, infidelity, grief — but there were a lot of chats I had with friends that were a little lighter: The best date I'd ever been on or feeling guilty that you had broken someone's heart and you could have treated that person better. At first, this was an online project, and I had started working with a couple of different artists on the stories. Once that happened, women started reaching out to me to tell me they had a story. People spilled their guts, which was a really intense and amazing process." Erin Klassen's comments have been edited and condensed.